Did you know that summer camps offer free or steeply reduced tuition for the children of staff? So, yes there is a bit of a catch to the FREE part but for those of you with the time and the right skills this is an amazing opportunity. Summer camps need experienced professionals for support roles, such as chefs and nurses, and for leadership positions and heads of programs, typically filled by teachers and coaches. In many cases, this means hiring staff who are already raising families of their own. If a camp hires you to fill a valuable role, in most cases your kids will be able to attend while you are working for free or reduced tuition. With some camps charging over $10,000 for the summer, the added value can be significant. 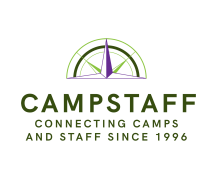 1.Register with CampStaff.com to see which camps are seeking staff with your skill set. You can plug through the individual websites looking for jobs but you’ll see below, you may want to save that for later in the process. 2. Narrow your list down by whatever criteria you choose – remember your a picking a job for you AND a camp for the kids – those aren’t always automatic fits. 3. Visit the websites of the camps you’ve narrowed down to and with your kids make sure it looks like a place you’d like. This is VERY important. The camp needs to be a place that you child(children) will be successful or else, your summer will not be. Later in the process, the camp directors will want to discuss your kids in depth to determine bunk placement, etc., it’s best if a bad match is caught earlier rather than at this late point. 4. Contact the camps either with your CampStaff profile or directly – making sure you are upfront about having camp aged children (or needing a nanny for younger ones). In most cases, it will not be problem however, it does occasionally happen that a bunk age group is completely filled and there would be no opening for staff kids. Again, get this taken care of up front so your kids aren’t disappointed later. 5. Interview with the camps that meet your criteria!